CarMax is an absolute powerhouse when it comes to pre-owned vehicle retailing. It sells more than double the used inventory than their nearest competitor and they make significantly more money doing so. The primary reason for this is simple—most people are overpaying. A recent report by Automotive News shows just how much farther ahead of the field CarMax is compared to other major pre-owned retailers. In this first quarter of 2018, CarMax sold over 170,000 vehicles. In the number two spot, Penske Automotive sold over 73,000 cars. When it comes to gross profit per unit, on average, CarMax raked in $2,147 per vehicle. Lithia Motors wasn’t far behind at $2,038 while other dealer groups such as Asbury, Penske, AutoNation and Sonic had a profit range between $1,565 and $1,090. Startup Carvana only managed to average $902 per unit. Now, what makes CarMax such a draw for used car buyers is excellent marketing that espouses a low-stress, hassle-free car buying experience. It also helps that it has tons of locations in major metro areas and customers have the ability to transfer most vehicles from one location to the next for a fee. This gives buyers access to a nationwide network of inventory. Of course, the crux of the CarMax strategy is the “no-haggle” pricing. The price you see is what you pay. However, as I have mentioned before, the CarMax price may not always be the best one. Used car buying is very different than new car buying. The margin for negotiation is often in the hundreds of dollars and more major retailers are adopting similar “no-haggle” pricing policies, but unlike CarMax, other large used car dealers like Sonic and AutoNation are using market data to be aggressive with their used car prices in the hope that they move units quickly. You may have noticed this yourself if you’ve checked CarMax’s inventory. Yes, the cars are ostensibly in good shape and can include generous warranties, but many buyers wonder about the several thousand-dollar premium they command over other used cars. Here are a few examples. In Colorado, CarMax is selling a 2016 Toyota Highlander XLE with 26,000 miles for a no-haggle price of $32,998. Mountain States Toyota, which is owned by Sonic Automotive, has a Certified Pre-Owned 2016 Highlander XLE with 21,128 miles for the no-haggle price of $31,994. Also, keep in mind that this vehicle has a factory-backed CPO warranty which ads additional market value. In North Carolina, CarMax has a 2016 BMW 328i with 25,000 miles with the no-haggle price of $26,998. AutoNation, like Sonic Automotive, also uses a “no-haggle” used car strategy and they have a 2016 BMW 328i with 24,881 miles for just under $23,000. Perhaps you are looking for a pickup truck, you could get a used 2018 F-150 Lariat with 14,000 miles from CarMax for about $41,000. However, with heavy discounts and rebates on pickup trucks right now a brand new truck with likely cheaper financing is not much more. Some will argue that CarMax cars are of better quality than other pre-owned vehicles, but there have been lawsuits that took issue with the veracity of CarMax’s inspection procedures. Now, this isn’t to say that buyers can’t score good deals shopping at CarMax and it is certainly a convenient place to sell your old car if you don’t want the hassle of private buyers. 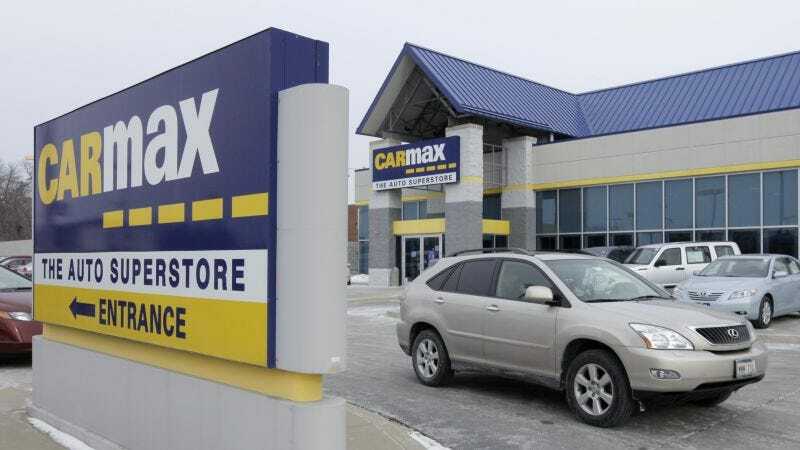 But the fact that CarMax makes is the most profitable used car retailer in the country, is mostly the direct result of buyers often paying more for cars then they could have found elsewhere with a similar “no-haggle” experience. Just be willing to shop around and don’t pin all your hopes on one shop.